Okay, there was no blood on the floor. The Republican party took the traditional “lock step” rally around the presumptive candidate. Hurricane Isaac took a turn towards the Gulf coast. But between 2008 and 2012, Willard Mitt Romney has had to do some pretty amazing turns and back flips on policy to earn the support of the new party faithful, at the most politically far-right leaning era in the GOP’s history. What would Reagan do with this party? Ann Romney gives the speech of her life tonight (the media crescendo makes it appear that way). Will her words put the party on an “Akin diet” to appeal to women voters? New Jersey govenor Chris Christie will go on tonight as well. Not quite the speech of his life, but a preview of that possibility in 2016. Again, more media crescendo. The Ron Paul delegates are, per recent tradition, the party poopers. 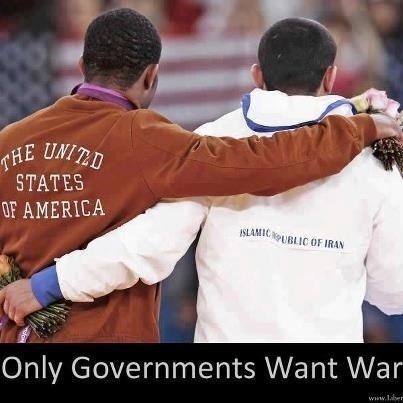 They are a different kind of Republican, not Tea Party. The energy is there and probably more enthusiasm, but not the numbers. “Anybody but Obama” isn’t their mantra. If you’ve read the RNC party’s platform, you obviously are not an acquiantance of House speaker John Boehner. Ironically, all foreign policy, defense, human rights and foreign trade issues come under the heading of “American Exceptionalism,” which has taken the party by storm. 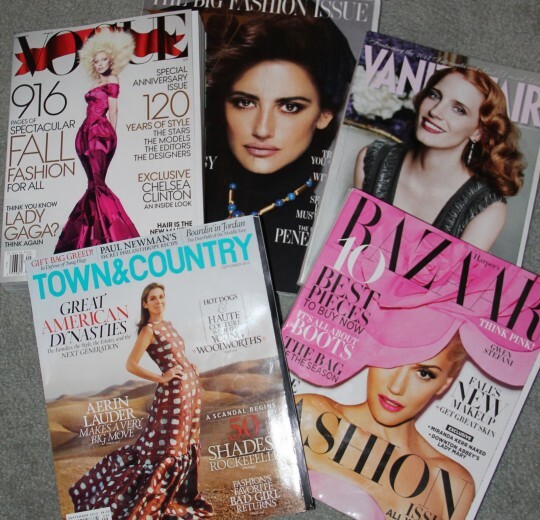 I guess that exceptionalism extends to Americans not having to read anything over a page long. Candidates usually take a big picture approach to party platforms. It’s the party’s aspirational document. After the convention, we’ll probably never see it again. 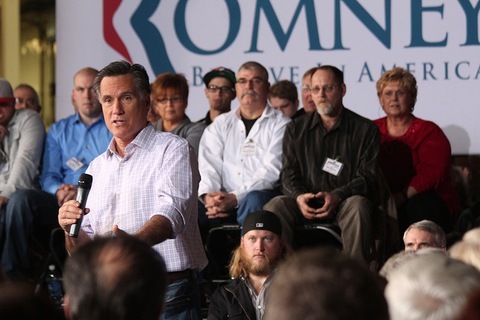 So turns out to be Mitt’s party afterall — a party of Mad Men and the women who love ’em. 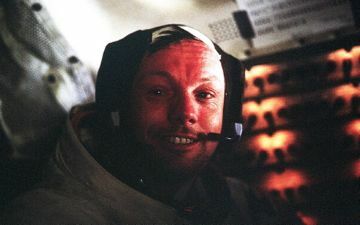 Neil Armstrong was the first earth human to walk on the moon. He died today at age 82. Much of the same and then some. Stay tuned. Thursdays nights are probably the worst time to try to get a story about a restaurant from the restaurant. This was what I was attempting to do when a friend and I showed up at Tu Lan Restaurant in the Tenderloin of San Francisco. It was 2 hours before closing and customers were still arriving in a steady stream. The restaurant staff looked a bit burned out and were turning over tables quickly in anticipation of closing up and going home for the evening. I was compelled to make this annual pilgrimage before Julia Child’s 100th birthday anniversary (August 15). 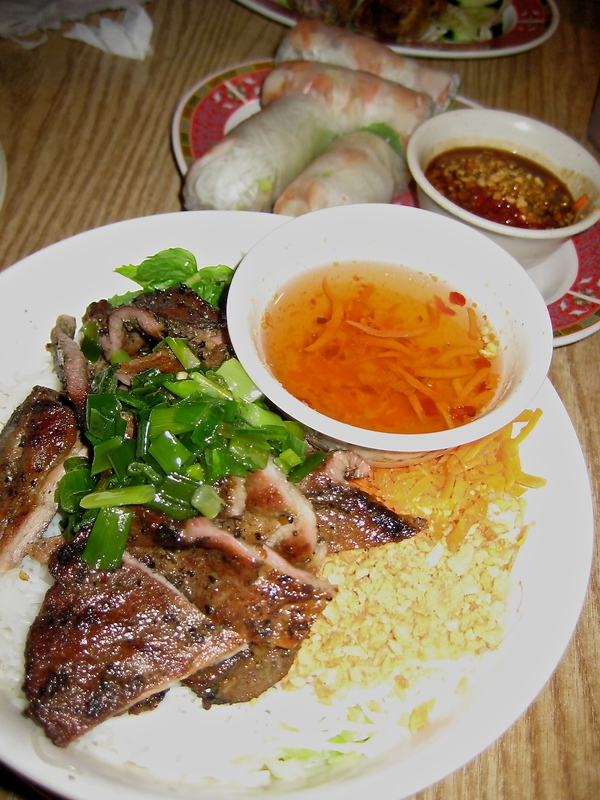 Opened since 1977, Tu Lan has is noted not only for their food but for the sketch of Julia on their solar yellow menus with the items she ordered when she dined there: Spring rolls (Goi Cuon), pork skewers over rice noodles (Thit Nuong). And I believe she was nuts about the imperial rolls. Tu Lan is a cash-only enterprise. No credit cards. As we paid for our meal, I asked the cashier if he was aware that 2012 was the 100th birthday anniversary of the woman they proudly display on their menu. He said he didn’t know. He only knew that one day she just “showed up” in the restaurant. I suggested perhaps they connect with JC 100 (the birthday site) as there were culinary and foodie celebrations nationwide. 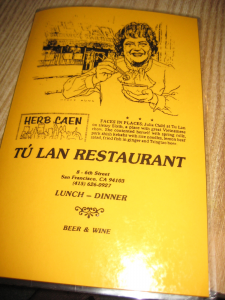 Considering Tu Lan’s been around since 1977, with fans like myself willing to treck in the underbelly of the city for a good Vietnamese meal at a great price, why should they advertise? However, they do advertise Julia on their menus. And okay, they suckered me in with that, but Tu Lan didn’t disappoint. 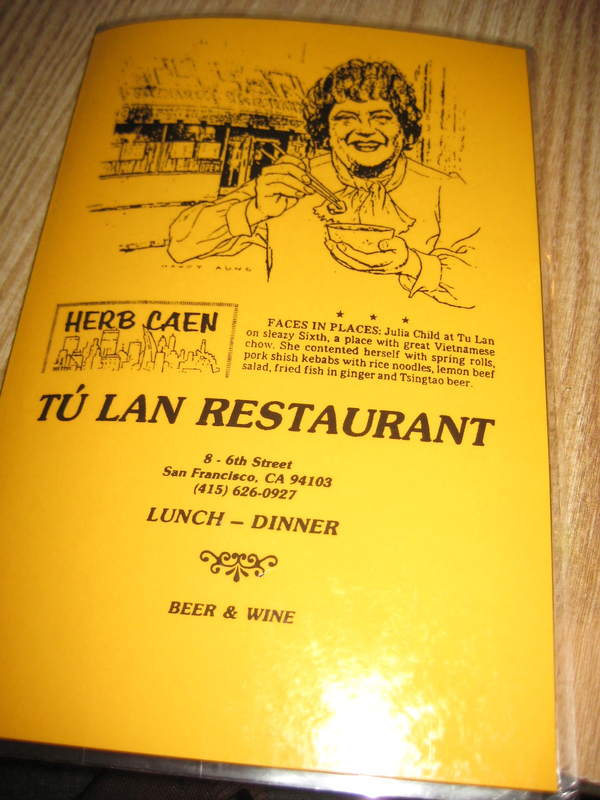 But was Tu Lan really Julia Child’s “favorite San Francisco” restaurant as social media restaurant sites and reviews claim? That remains to be confirmed. I checked in with the Radcliffe Schlesinger Library which houses Julia’s papers. Their reference people were unable to determine whether Julia ever ate at Tu Lan or what her impressions were. I’m invited to Cambridge to go through the papers myself. I also recently discovered Julia didn’t care for spicy food. Well that leaves Szechuan out. But her adventures in Ceylon with her soulmate Paul Child stirred her appetite for Cantonese. If that’s the case, it’s no surprise Vietnamese would appeal to the French Chef’s palete. Lemongrass, mint, rice noodles, cilantro, rice vinegar and subtle spices. 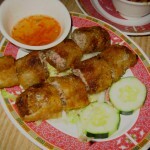 I remember having my first spring roll at a Vietnamese restaurant and my first summer roll. The first thought that came to my mind was if there was anything good that came out of that war, it was the influx of Vietnamese cuisine into the United States. With each visit to Tu Lan, it gets more and more challenging to convince a buddy to take this pilgrimage with me, and that includes the locals. Apparently, urban removal hasn’t quite reached this part of the Tenderloin yet. Perhaps I have a New Yorker mentality when it comes to food — and I’m sure Julia shared that as well. 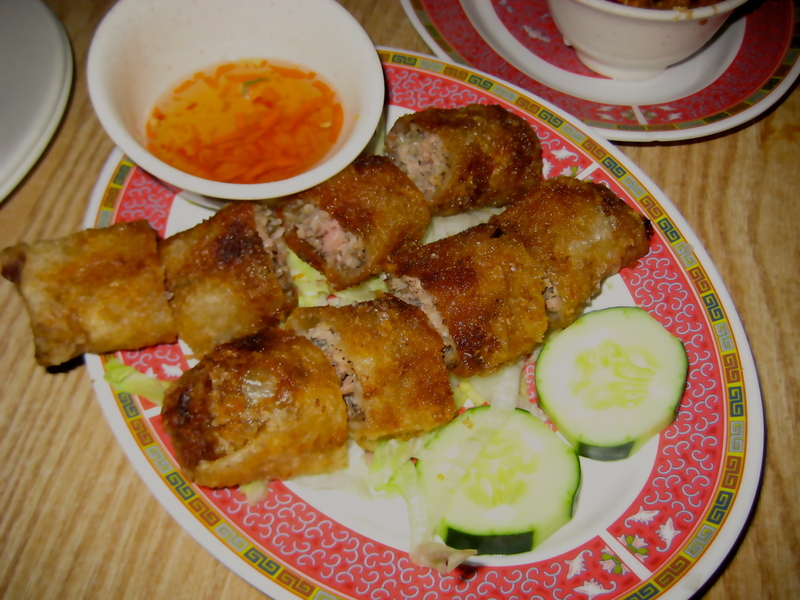 But just days after my visit in July, Tu Lan was forced to close it’s doors for significant health violations. Am I surprised? Actually, no. I’ve had my share of adventures in joints and hole-in-the-walls where I smelled something wonderful cooking. Actually my first double-over-in-pain experience with food was at a bright, polished pub fare franchise restaurant which has since closed many years ago. Apparently locals in SF aren’t giving up on Tu Lan…not yet according to SFist fingers are crossed. We all enjoyed watching Julia “oops” her way through a dish on television. She made cooking an adventure you could enjoy in your own kitchen. Perhaps Tu Lan might consider a cookbook because it looks like there will be no Julia 100 menu this month. And when (optimism) Tu Lan cleans up their act and rises again, it’ll be on their own merit and Julia Child will be a foot note in its culinary narrative. Until we meet again TL. Bon Appetit!